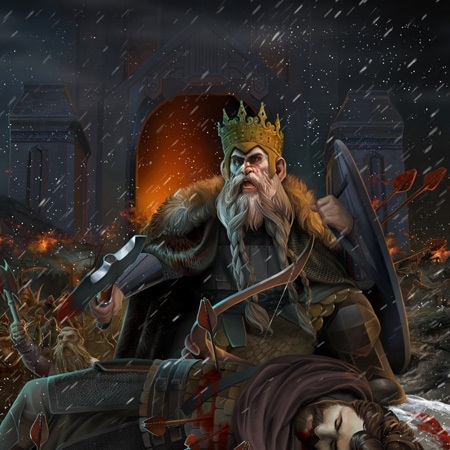 Thorin was killed in the battle, as were his sister-sons Kíli and Fíli. As his 'rightful heir,' Dáin succeeded Thorin as King under the Mountain, and King of all of Durin's folk. In T.A. 3018, a messenger came from Mordor, enquiring about a creature named 'Baggins' from 'Shire'. In return for information Dáin would be given the last three Dwarf-rings. Dáin told him to give him time to think and for many weeks he pondered until he sent Glóin and his son Gimli to Elrond for council, and to warn Bilbo of the enemy looking for him. 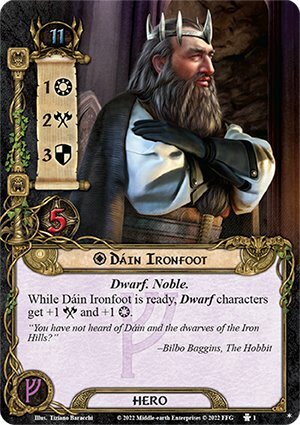 Dáinn is a dwarf from the Dvergatal. His name most likely means 'Deadlike'.